Twelve German-American Artists share their views on Germany today. Exhibition June 20 – July 25, 2014, Opening Reception June 19, 6:30PM. Goethe Institut San Francisco, 530 Bush Street @ Grant Street, left of the China Town Gate. 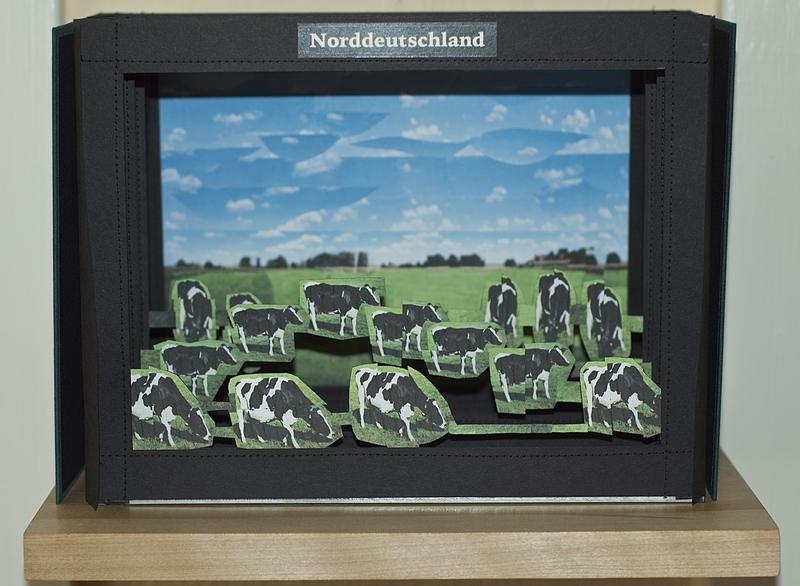 My piece is a tunnel book with a collaged image of ‘Norddeutschland’ – ‘North Germany’.